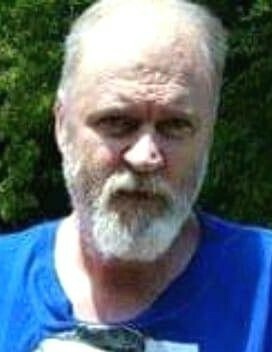 Jimmy Wayne "Fleetline" Steenbergen, 57, of Scottsville, KY passed away Monday, March 18, 2019 at the Medical Center at Bowling Green. The Scottsville, KY native was a son of the late Lloyd Wayne Steenbergen and Thelma Christine Pardue Wheat. 1 great grandchild: Nevaeh Steenbergen. He was preceded in death by 1 son: Shane Steenbergen and an infant brother: Gary Verlin Steenbergen. Funeral service will be 2:00 p.m. Friday at Goad Funeral Home with Bro. Randy Sloan and Bro. Michael Shrum officiating and burial in Mt. Pleasant Cemetery. Visitation will be 2:00 p.m. to 8:00 p.m. Thursday and after 7:00 a.m. Friday until funeral time at Goad Funeral Home. In lieu of flowers, expressions of sympathy may take the form of donations for funeral expenses. Donations may be made at Goad Funeral Home.